Owned and operated by Los Angeles-based photographer / pilot Jim Brammer, Soaring Vistas Media is a fully-insured, FAA 333 Exempt and Part 107 Certified drone services company. In addition to being sought after for his skills and experience in professional photography, videography and post-production, Jim is also a highly-skilled drone pilot, making him uniquely qualified to offer world-class photography, videography, cinematography and data collection services with a primary focus on the safe, ethical and professional operation of small Unmanned Aerial Systems (sUAS) or "Drones". Soaring Vistas Media’s safe and highly-stable, custom-built sUAS platforms employ redundant flight systems and three-axis gimbals, stabilized by inertial management systems, to provide imagery and video from unique perspectives. We leverage real-time video downlinks to a ground-station monitor, providing the pilot/photographer team and Client with a view of exactly what our flying camera sees. This allows us to dynamically adjust framing and composition "on the fly" to ensure that we capture the right shot every time. - Pre-construction, progress monitoring, infrastructure inspection and marketing for the construction industry. Additionally, we are available for any project that calls for a safe, professional and respectful approach to aerial photography, videography, cinematography and data gathering. Working directly with your marketing, creative, engineering and diagnostic teams, we provide industry-leading quality and take great pride in our collaborative approach, flexibility, creativity and positive attitude toward accomplishing every assignment. ​At Soaring Vistas Media, safety and professionalism are an integral part of every operation. We comply with all FAA regulations and our aircraft receive regularly-scheduled preventative maintenance. Prior to every mission, we conduct a detailed multi-point inspection of the UAS and surrounding area, walking the flight area to note hazards and establish a safety perimeter and contingency plan. We are proud of our flawless safety record and reserve the right to refuse any engagement due to safety concerns. 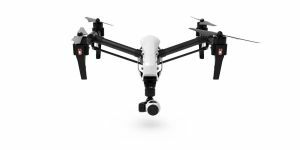 The use of UAS platforms for commercial photography and data gathering has become highly controversial due to individual concern for violation of privacy. Simply stated, we will not accept engagements that violate the privacy of others. Soaring Vistas Media is affiliated with the following industry organizations: ASMP, AUVSI, Coalition of UAS Professionals, Society of Aerial Cinematography, UAVSI and UAVUS. Honestly, it's not about the equipment - it's what you do with it that counts! Los Angeles photographer Jim Brammer is a certified UAS pilot, award-winning photographic artist and owner of Soaring Vistas Media, an aerial photography/cinematography studio; and State of the Art Images, a fine art, portraiture and commercial photography studio. Soaring Vistas Media is a fully-insured, FAA 333 Exempt and Part 107 Certified aerial photography business providing world-class photography, videography, cinematography and data collection services with a primary focus on the safe, ethical and professional operation of small Unmanned Aerial Systems (sUAS) or "Drones". ​Soaring Vistas Media’s safe and highly-stable, custom-built sUAS platforms employ redundant flight systems and three-axis gimbals, stabilized by inertial management systems, to provide imagery and video from unique perspectives. We leverage real-time video downlinks to a ground-station monitor, providing the pilot/photographer team and Client with a view of exactly what our flying camera sees. This allows us to dynamically adjust framing and composition "on the fly" to ensure that we capture the right shot every time. 3. Pre-construction, progress monitoring, structure inspection and marketing for the construction industry.